We know how devastating it can be to lose a dear pet or to find a helpless stray. 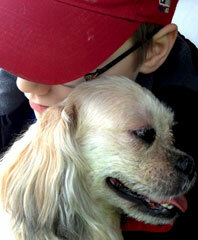 We have also seen the joyful reunions of a lost pet and their owner. To help find your pet or help a stray, try to contact as many animal organizations that you can. You can notify EFVH or put a notice on our bulletin board and we will help in your search. Put notices up in your neighborhood and in the local newspaper. If you have found a stray dog, you can either take it directly to Clackamas County Dog Control or to EFVH and a Dog Control officer will pick the dog up to transfer it to the Dog Control office. Actually, one of our receptionists reunited a stray dog brought to our clinic and its' owner in downtown Portland after seeing it on Craig's List Lost and Found Pets on her lunch hour! 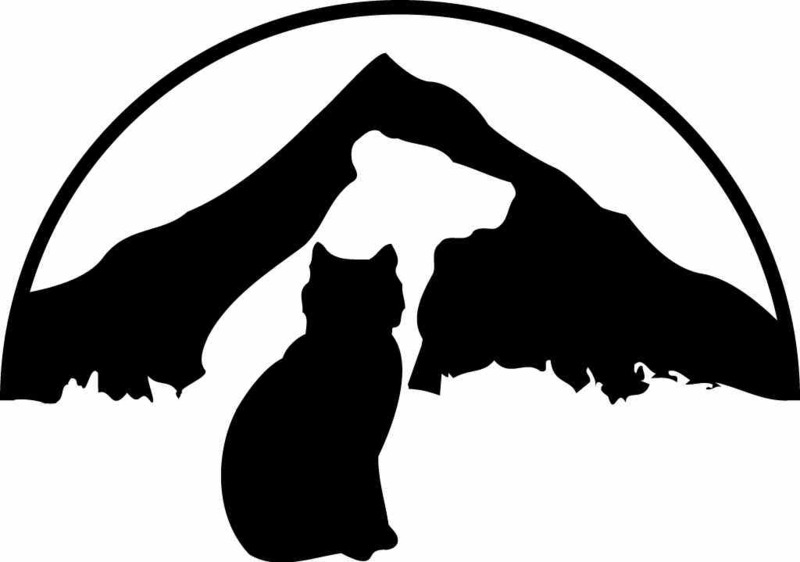 A nationwide support network dedicated to lost and found pets. Over 10 million pets become lost each year according to the National Humane Society. Of those pets that enter a shelter 15-20% are returned to families, 10-20% are adopted and, sadly, 60% are euthanized. Shelters found the owners of almost 75% of stray pets that had a microchip. The use of pet identification helps pet owners to be quickly reunited with their lost companion. Using a variety of identification methods such as a microchip, identification tag and license will increase the chance that your pet finds its way home. Microchipping is a permanent pet identification system. A microchip approximately the size of a grain of rice containing a unique ID code is implanted under the skin between the shoulder blades. Anesthesia is not necessary for implantation and can be performed while your pet is here for a procedure or an exam. A microchip can't get lost like a tag or collar. It is safe for puppies and kittens, as well as older pets who may wander from home. Microchipped animals are enrolled in a database where contact information is stored and can be updated as needed. If a lost pet is found, the database can be reached 24 hours a day to help reunite the pet with its family. Our hospital utilizes microchips which are readily detected by scanners at veterinary hospitals, animal shelters and humane societies. --More information on microchip identification can be found on the American Veterinary Medical Association website. Identification tags, rabies tags and county licenses attached to an animal's collar contain additional information about your animal. Our rabies tags have hospital information and a number that our computer system can link to the owner of an animal. Be sure to keep contact information current with your name, address, daytime and evening phone numbers and pet's name. In the event of a move consider using a temporary tag with contact information of friends or family until you get settled. When a pet is lost there is impact on the pet and its' owner. The pet may be exposed to disease, social trauma, physical abuse, injuries by a car, gun or other environmental trauma and death by physical trauma or euthanasia. The pet owner can suffer emotionally with grief, anger, depression and guilt. Dog Behavior Issues - Dogs can roam due to sexual behaviors. We recommend spaying and neutering pets if they are not to be used for breeding. Some dogs may try returning to a previous home. To avoid boredom, try to meet the pet's needs with exercise, social and mental stimulation, and environmental enrichment. A good on-line resource for environmental enrichment is http://indoorpet.osu.edu. To prevent territorial aggression socialize and train your dog early. Don't promote territorial behavior. Avoid barrier frustration where a dog can see other animals or people but not able to interact. Don't encourage predatory behavior. Use a head halter on walks if the pet tries to chase other animals. Older pets may have Cognitive Dysfunction Syndrome. This can be managed with medication and diet. Many pets have fears, phobias to noise, and separation anxiety that will cause them run away from home. Human Behavior Issue - There may be poorly maintained fencing, doors, gates, windows that allow the pet to escape. Don't allow the pet to roam off leash. The owner may be inattentive or forgetful or have children that may let the dog out. Visitors to the home may not be aware of the pet. Be sure doors, screens, windows and fencing are secure. Help is available from Fences for Fido to help build a fence for your pet. Use spring hinges, self-closing doors/gates and have locks on gates. To prevent theft of your pet don't let your dog off leash, unattended in the yard or car and give your pet identification with a microchip or ID tag. Disasters - Be sure you are prepared for a disaster with a family plan that includes the pet. If your pet is ever lost or you find a lost animal be sure to contact us as well as the humane societies. Many times Good Samaritans will bring a wandering animal to our hospital. We keep the pet until the county can pick up the animal for transport to the shelter. We have a bulletin board to list lost or found animals. Clackamas County Dog Control and humane societies also have web sites with lost and found animal information. We can tell you of many heartfelt reunion success stories!